This entry was posted on Sunday, May 25th, 2008 at 9:23 pm	and is filed under Main Dishes, The Barbecue Bible, Vietnamese. You can follow any responses to this entry through the RSS 2.0 feed. You can leave a response, or trackback from your own site. 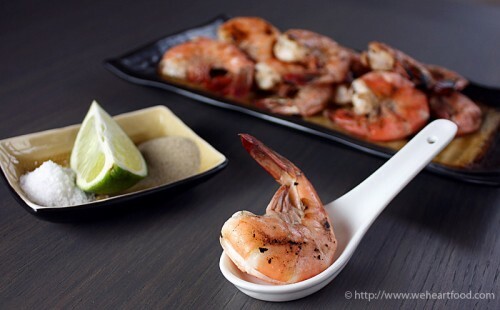 I love salt and pepper shrimp! These look fantastic! These shrimp are amazing! They melt in your mouth and have so much flavor. I could eat shrimp cooked like this every day and never tire of it!